In March 2018 in Kigali, Rwanda, the Scientific African, a new peer-reviewed, open access scientific journal dedicated to African research was launched. In December 2018, the maiden issue of the journal was published. The journal received its 500th submission last month (19 February). In an exclusive interview with SciDev.Net after such a feat for a new journal, Benjamin Apraku Gyampoh, its editor-in-chief, discussed the strides made so far and plans the journal has to actively disseminate its published articles and make them impactful. 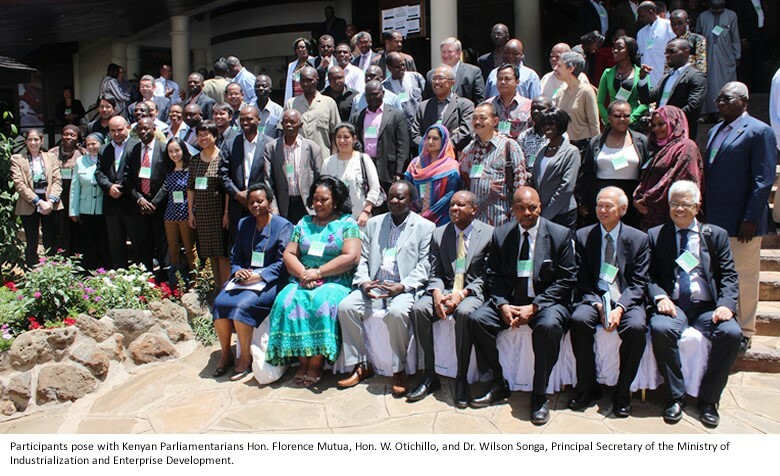 Why should African scientists publish in the Scientific African? Publishing research in the Scientific African journal by African scientists is very important for them, for the continent and for the development of science in Africa. Together, we are developing a brand which will be a testimony of the excellence of science in Africa. The journal looks out for scientific solutions to address challenges on the continent. This is the place for scientists who want to create the Africa we want to stand up and be counted. The editorial culture we have is ensuring excellence and relevance. Our editors are excellent scientists in their own capacities who are dedicated to developing science on the continent and using science to find solutions for Africa. These dedicated people understand the context of Africa and the issues relevant to the continent and work on them with passion. Together, the editors are working hard to help the journal achieve more for Africa. How is the journal highlighting research that finds local solutions to local problems? The journal is giving a platform to research in Africa, on Africa, about Africa and with relevance to Africa. Manuscripts have been received from researchers on the continent and outside the continent who are Africans and non-Africans. The interest is in the scientific merit and the relevance of the work to Africa in getting the Africa we want and also achieving the Sustainable Development Goals. How is the journal expanding access to African researchers largely lacking platforms to showcase their research? Scientific African is giving a modern and visible platform to Africa researchers across the continent. The journal is truly expanding access to African researchers. The journal has received submissions from authors in about two thirds of the continent in less than one year since it was launched. This speaks volumes. It shows that many researchers on the continent have now found a home to publish their research. In what ways is the journal ensuring that articles published in it reach a wider audience? I do not envisage that research articles published in Scientific African will join many others that end up stocked in only scientific journals. And not envisaging something does not mean that it cannot happen. I do not envisage such a situation because the journal has programmes in place to highlight its articles to ensure that this does not happen. The innovation that Scientific African brings to the table is following through after publishing its articles. The journal believes that the success of research lies in its ability to influence and change society for the better. For example, after the first issue was published, Scientific African Magazine was also published that disseminated the research outputs in forms such as questions and answers with authors, news on key articles and interaction with society on what they think of the publication and how it will help them. The journal will seek more opportunities for highlighting impact. What plans does the journal have to actively disseminate the findings specifically to policymakers? In addition to the publication of Scientific African Magazine, Next Einstein Forum — the owner of the journal — and co-publisher Elsevier, have other means to ensure that articles published in the journal reach policymakers and other key audiences. These include active and wide dissemination of the publications through social media platforms such as Twitter. The Next Einstein Forum also has effective means of engaging decision-makers on the continent and they will be carrying the work published in Scientific African to decision-makers at the continental and national levels during their engagements. The team at Scientific African recognises that sustained efforts are required to get outputs from the journal to catch the attention of policymakers and to contribute to evidence-based decision-making. What have been the greatest challenges the journal has encountered thus far? The Next Einstein Forum has put in their best in realising the vision of Scientific African. Editors have worked extremely hard. Reviewers have been thorough. So generally there have not been great challenges on the side of the journal. But we would like to get better. I use this opportunity to thank our editors and reviewers for their dedication, diligence and for identifying with the vision of Scientific African. I would like to encourage more scientists to be interested in becoming reviewers. Reviewing is a responsibility scientists owe to each other in driving growth in the scientific community. Are you convinced that this journal is promoting scientific excellence and partnerships in Africa? I am very convinced that this journal is promoting scientific excellence and partnerships in Africa. Scientists are getting to know what each other is doing at different parts of the continent. Even among editors in the same section, people are getting to know each other now. Since the first issue was published, there has been a significant increase in submissions to the journal. In my assessment, it is a manifestation of acceptance by the scientific community of the quality of the journal. No researcher wants to publish their work in a platform they consider to be inferior. It is a long journey we have started and we are prepared for it. With the help of the scientists themselves and the mass media, Scientific African will continue to promote scientific excellence and partnerships in Africa. This article by Stephanie Achieng’ was originally published on SciDev.Net. Read the original article. Nearly 2 billion people suffer from iron deficiency, while one-quarter of the world’s people are at risk from insufficient dietary zinc or vitamin A. Eating a more varied diet provides a greater intake of micronutrients, but this may not be possible for many poor families. However, by using a process called biofortification to improve the nutrient value of specific staple crops, scientists can help farmers grow more nutritious food using the same land and resources. Biofortification uses biotechnology, conventional plant breeding or agronomy to improve nutritional quality of food. Examples include boosting iron in rice, sweet potato, cassava and legumes; vitamin A in cassava and maize; zinc in wheat, rice, beans, sweet potato and maize; and protein in sorghum and cassava. The method is already well-established around the world – about 20 million people have access to enriched beans, rice, wheat, pearl millet, maize, sweet potato and cassava. By 2030, more than 1 billion people could be eating biofortified crops. For farmers with limited ability to produce more crops, growing biofortified crops on the same land could have a highly beneficial effect on health. Getting biofortified food onto the world’s dinner plates has been a long journey, requiring flexibility, persistence and dedication. Dr Howarth Bouis and the team at HarvestPlus have led the way and were recently awarded the 2016 World Food Prize for their efforts over 20 years. HarvestPlus has played a key role in developing and distributing biofortified crops and in educating a range of stakeholders about the advantages of crops that are higher in zinc, iron and vitamin A. Like consumers everywhere, farmers and their families can be cautious about trying new varieties. Persuading them to do so requires targeted information campaigns and time for results to be seen and word to get around. An added complexity is that some biofortified crops look and taste different. But this is not the case in zinc and iron-rich crops, such as beans. In Rwanda, 10 varieties of iron-rich beans have been released, and they are the same in appearance and taste as beans currently on the market. The beans have higher yields as well as higher iron content and researchers hope that they will become the preferred product. Other crops such as cassava, maize and sweet potato do take on a different taste and appearance when fortified with vitamin A, with the crops turning from white to orange. Communities need the chance to learn about the new products before they decide to grow them or buy them, so information activities must target both farmers and consumers. In many countries, women are key to improving nutrition and health in their families. For communities to accept the new biofortified crops, women must be engaged at every stage of the process. For example, local people may be employed to spread the word, sometimes holding blindfolded tastings where women are asked which sweet potato or other food they prefer, and whether or not they would buy the enriched product for the sake of their family’s health. If the price is the same and they like the taste – and the word is that the crops are well accepted – women choose the vitamin A-enriched food for their family. In Namwenda, in eastern Uganda, a group of women wearing distinctive orange t-shirts are spreading the word about nutritious crops, good hygiene and sanitation practices. Known as Mama Ndhisa, the women deliver their messages through activities such as community meetings and visits to local villagers, using pictorial story cards and other aids. The name Mama Ndhisa reflects community affection for these mothers and for the vitamin A-rich orange sweet potatoes they promote. For a country to embrace biofortified crops, there needs to be support at every level – locally, as in Namwenda in Uganda, as well as nationally, regionally and internationally. In the Global Panel report, Biofortification: An Agricultural Investment for Nutrition, micronutrient malnutrition is shown to be associated with the rapidly growing problem of obesity and non-communicable diseases. The authors state that low-quality diets based heavily on highly processed, nutrient-poor foods lie at the core of the problem. “When biofortified crops are combined with interventions that promote dietary diversification, real progress can be made to benefit millions of households. 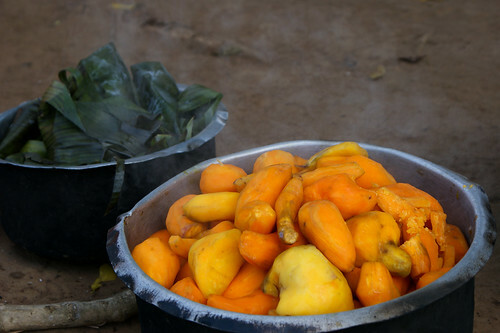 In Nigeria for instance, with the strengthened regulatory and legal framework and infrastructural support, Nigerian multiplication programmes are expected to allow 80 million Nigerians to have access to more-nutritious diets in the coming four years,” the report said. The Global Panel emphasises that biofortification should not be looked at in isolation. “Policymakers should not see it as an alternative to other nutrition-enhancing interventions, but consider it as one component of a suite of complementary strategies to reduce micronutrient deficiencies,” the Panel said. Akinwumi Adesina, President of the African Development Bank and former Nigerian Minister for Agriculture, has called for an end to malnutrition in Africa, saying that the continent has all it needs to win in agriculture. Speaking at the seventh African Agricultural Science Week in June 2016 in Rwanda, he noted that Africa spends €30 billion each year on importing food, a figure that is projected to grow to €98 billion by 2025. “Africa is importing what it should be producing, creating poverty within Africa and exporting jobs outside of Africa,” he said. Any shock to global food production would affect prices in Africa, especially in rural areas, so investing in agriculture makes economic and security sense. Adesina noted successes in Rwanda, which has drastically reduced malnutrition, and in Senegal, which is on the way to becoming self-sufficient in rice. “And with technologies from science, we can do even more,” he said. New iron-enriched beans, orange-fleshed sweet potato, high-lysine maize and vitamin A-rich cassava are already improving crop yields and nutrition. As drought continues, prices for maize and other crops have risen. FAO officials warn that 23 million people need urgent support to grow enough food to feed themselves, or they will be dependent on humanitarian assistance until the middle of 2018. Farmers must be able to plant by October 2016. “Failure to do so will result in another reduced harvest in March 2017, severely affecting food and nutrition security and livelihoods in the region,” FAO said. In Zimbabwe, many children do not get enough to eat. The United Nations Children’s Fund warned in March 2016 that the country is facing its worst child malnutrition rates in 15 years, with rural areas particularly at risk. FAO is helping the country’s farmers affected by the drought. Last month, the agency began giving biofortified maize and bean seeds to farmers. Those seeds are designed to produce crops high in valuable nutrients. Initially, the seed programme is targeting about 127,000 small farm households in eight areas. Over time, it will spread to other parts of the country. Farmer Mirriam Chagweja said she is glad she planted the new seeds in her fields in Silobela, about 300 km south-west of Harare. In February 2016 she planted fortified maize and beans, using seeds provided by the UK Department for International Development. Chagweja said she got more beans from these seeds than from the other kinds of beans. “I would encourage others to go on board and join,” she said. Trials continue with new biofortified crops and varieties. WHO lists a range of current biofortification trials, including vitamin A-enriched maize for mothers and infants in a range of locations, vitamin A-enriched cassava for Nigerian preschool children and pearl millet enriched with both zinc and iron to boost cognitive ability and immunity to infections in Indian babies. While biofortification and genetic modification are different processes, groups such as HarvestPlus are keeping an eye on developments. To date, HarvestPlus has used only conventional breeding techniques, and not genetic modification, to develop its 150 varieties of 12 different nutrient-enriched crops. This has allowed them to get their crops into use as quickly as possible, in as many countries as possible. There remain many barriers and political opposition to transgenics, despite the scientific community establishing that the method is safe, says Bouis. HarvestPlus is researching the technology and it may be an option in the future, for example, in areas such as increasing iron levels that have been difficult to achieve with conventional breeding. An article in SciDev.Net by Esther Nakkazi reports on the recent opening of a new laboratory and biopesticide processing plant in Kenya. The two facilities will help research, monitor and control aflatoxin contamination in staple crops.